Coming almost 20 years after the release of the two CD compilation that comprised live recordings and interviews with the band at BBC studios all over Britain between 1962 and 1965, Apple is set to release The Beatles Live at the BBC Volume 2. This is reported to have more unreleased material that the BBC have dug up from their archives and it was previously thought to be lost due to the narrow minded policy that the BBC had of wiping and re-using tapes. This policy was upheld in BBC television too and has resulted in the loss of many hours of material, including the Beatles and John Lennon's solo appearances on Juke Box Jury and the Beatles last live appearance on music show Top of The Pops in 1966. It is really quite despairing that, without the use of a DeLorean fitted with a flux capacitor, we will never get to see this wonderful material. The reported cover art for the second volume of BBC recordings. The Beatles, due to the constant pressures of fame, touring and studio work stopped giving live radio appearances on the BBC in 1965, despite promises from Brian Epstein, their manager, that they would continue. As their worldwide fame increased, radio was something that they had outgrown and didn't need anymore. But at least the BBC have found something that we can at least listen to and I for one am looking forward to hearing some wonderful unreleased material that has been gathering dust all these years. Along with the new CD will be a book 'The Beatles: The BBC Archives: 1962-70' written by Kevin Howlett, who has authored two other books about the Beatles at the British Broadcasting Corporation. 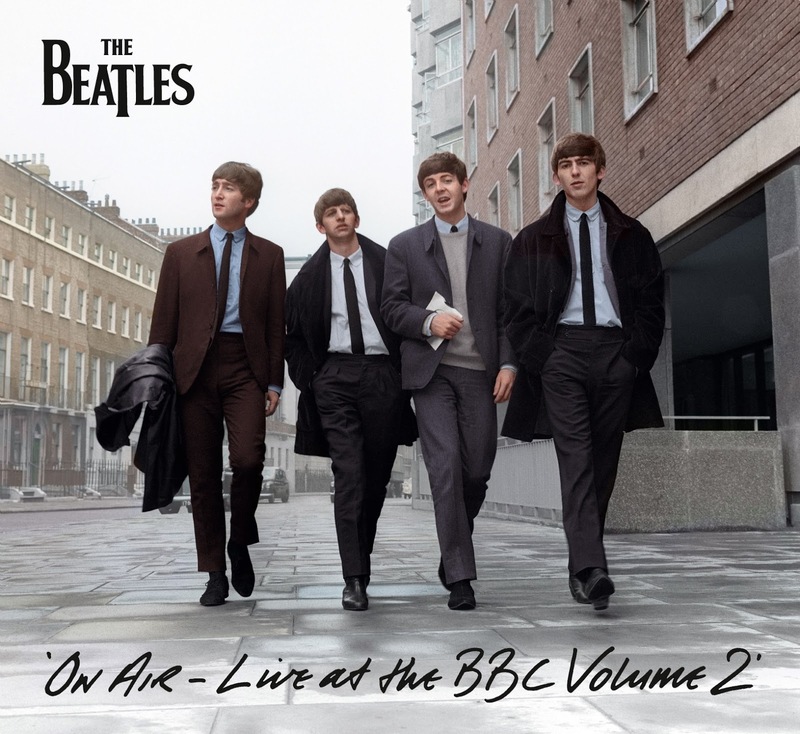 The Beatles Live at the BBC Volume 2 goes on sale October 10th.